I will no longer be watching Smallville anymore. I have enjoyed SVClois but after this, I can’t anymore. Clark may learn to love Lois in the future, but it will never compare to the extraordinary love he has for the once ‘girl next door’ Lana Lang. Hell, she is still ‘the one who got away’. The Clex was still alive in Requiem, which I forever will love. Yes, for a minute Clark wanted to kill his ex-lover. But when Clark picks up his ashes there is no doubt in my mind. Oh Lex, jealousy becomes you, it does. Good job on taking Clark and Lana down. It was really sad to remember these three several years ago in the second episode of the series ‘Hothead’ young, friends, talking about becoming the people they want to be and not who others enforce them to be. I don’t find it hypocritical that Lana told Clark not to take a life. It conveys how Clark’s benevolence can change people for the good. This show has once again emphasized it is a tragedy (when involving the characters of Lana and Lex). 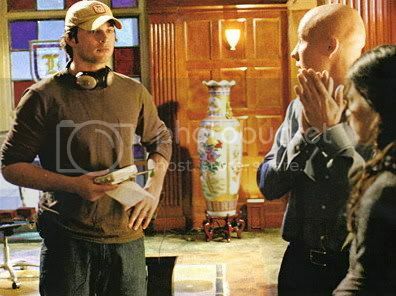 Which is why I love Smallville. In Requiem, I couldn't help but feel the established underlining message is love does not conquer all. Just because you love someone, evil doesn’t go away. Sometimes there is not a happy ending. Clark says, 'I love you' as if all the times he has saved her, everything he did for her, in the end: he still loses her. 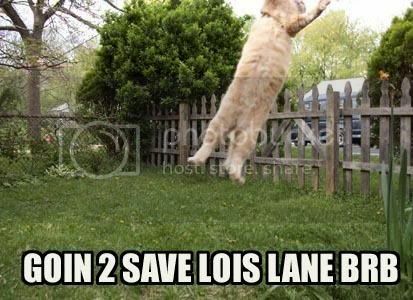 Which makes Lois Lane a lucky character in the Superman mythology. Because unlike those before her, she will have a happy ending. She gets to marry Superman! However, the past two episodes have tainted SVClois I just can’t ship that anymore. After everything Clark/Lana has undergone I am suppose to believe they are done. No. It’s not over. Won’t see it on the show, but they will find a way back to each other. Kryptonite obviously can’t stop these two. I loved this episode. Yes, am I bothered that more people tell Clark his greatness. I mean by now he should take a hint and put on a red and blue uniform with a cape or fly. That is one of my reasons why I don't want a s9. It is just prolonging him being Superman, which he should have became by now. "You understand sacrifice more than anyone"
Just remember: nothing ever goes according to plan. I saw the movie Valkyrie this weekend. Excellent film. I'm a huge James Marsden devotee. He is a sweetheart, and a cutie. The following is Marsden answering why Superman Returns didn't do well. It's old, so nothing new. I love his idea. I do. Superman is virtuous, that is why the Man of Steel has my heart and is my favorite superhero. However, truthfully I believe the answer is that no one liked Superman being a dead-beat dad. That's the reason I find it tough to put in my DVD player. So whoever came up with that idea: Shame on you. Davis/Doomsday quote in the promo is enchanting. "There once was a monster and the monster dreamed that it was a man. It loved everything about being a man. It was a beautiful dream, but this dream is doomed to end." Smallville I offically love you! I saw the shiny new trailer. I despise spoilers with a passion but I gave in this one time. I mean it has been about a month sincethe hiatus- I needed something! OK, now I am back to the my realm of No Spoiling. One more month until Jan. 15. I can wait. I can do this. Will Tom be directing an episode for season 8? I hope to see him direct an upcoming episode. But I can't bear the thought of another Sleeper episode to achieve that. So I am torn on whether I want Director!Tom or not. I mean I do really badly (I'm a fan of his directing skills), but not if it is going to cost us a Clark-less episode. I am curious (since I stay away from spoilers like a Jew bypasses pork) is he set to direct for s8? I missed Ugly Betty this week. I just couldn't miss this episode of Smallville! OMG Doomsday! Such a great name. If I was to ever become an evil villian, I'd pick that as my name. Chloe was so happy. She seemed to glow, and I can't help but think it is because she is free from a certain burden. I am one of the few that doesn't mind Lana's hair. I guess I mostly care about the developing plot that she will indulge us with. I thought the clana scene in the barn was badly written...it was horrible. Oh, so for s8 we have been void of songs on the show and now that Lana's back we get a music video. lol Ok.
My ship. Hmm. Not very happy. The only problem I had was Lois' sudden whining, and how the show is playing out the Clark/Lois relationship.